From Mattel, here is last year's re-release of Dexter Hoover with yellow flag! 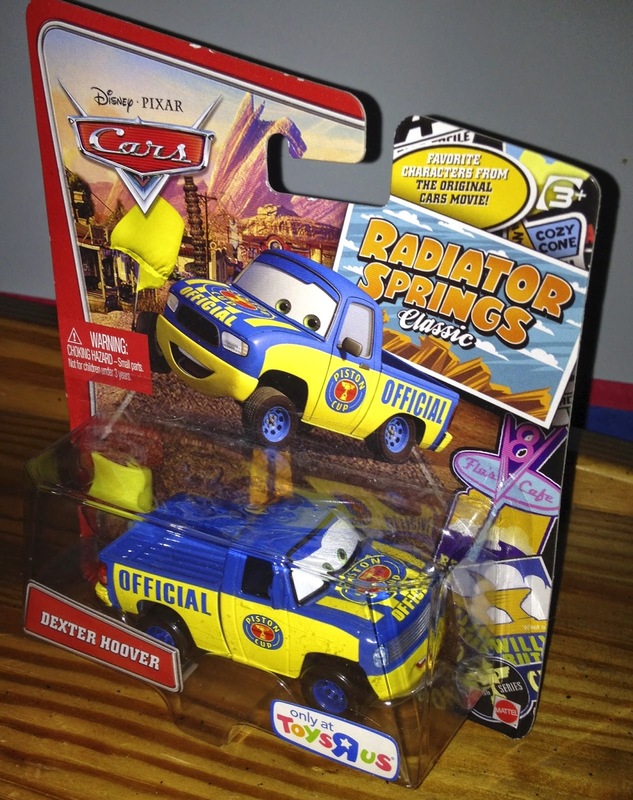 This release was part of the Toys R Us exclusive "Radiator Springs Classic" series, but was originally available in both the "World of Cars" and "Race O Rama" series. He is a 1:55 scale diecast with plastic flag accessory. As shown in the screen shot above, Dexter is one of the race officials at the Piston Cup race. He is seen with a few flags, that are traditional in real life Nascar racing: a green flag (for the start of the race), a checkered flag (for the winner at the end of the race) and this yellow flag (signaling to the racers that there is "local caution" ahead).